It’s difficult to map out what works for web design and what doesn’t after all, there are so many different and effective approaches you can take. For one website, a crisp, clean home page looks great, and for another website, a messy, colorful home page draws you in. However, there are a few principles of good web design, that are universal. Here we will explore five principles of good web design. Before we can even begin to take the aesthetics of a site into consideration, we need to make sure that the website’s audience can easily navigate the website. While it’s not usually practical to include all of your primary content on the home page, you do need to include tabs that lead to the most relevant content the website’s audience is visiting the site for. For instance, along the top of the Fender website here, we see common-sense tabs along the top that link to common reasons a visitor would be coming to the site, including Products, Vendors, News, Store and Community. Along the bottom of the site, where they don’t distract from a visitor’s first impression of the site, are more detailed navigation options. Although the slideshow images on the site are big and flashy, visitors still know exactly where to go to get the information they’re after. Implementing the site’s brand throughout the various web pages is essential to maintaining a sense of continuity in a website. The Coca-Cola website does this well by incorporating its tell-tale red, white and black advertising color scheme throughout its pages. While a website’s brand doesn’t always equate to a particular color scheme, the brand should be implemented on every single page within a site so that the site pages flow together as one unit. We’ve all seen websites that make use of a large central image to capture the eye when someone visits a page. While this can be done very successfully, you don’t always have to wow a website’s visitors with one large image. You can vary up your image sizes and incorporate them in different ways to bring color and life to a website. 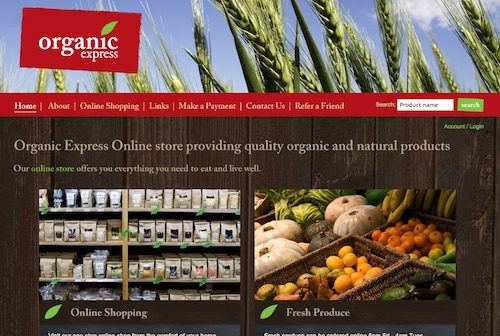 The Organic Express website makes excellent use of colorful images to make a visitor feel right at home. People like to access multimedia on websites, but they don’t usually like to be overwhelmed with it. Better to let your visitors click on the audio/video themselves than to add in a flashy video or audio that launches as soon as the visitor accesses the site (there are exceptions to that rule though, especially for sites where "shock and awe" is the best approach). 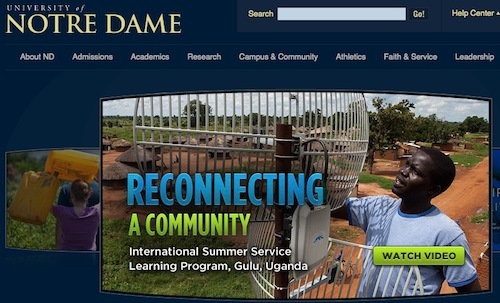 A good example of good use of video is found on the University of Notre Dame website, which features excellent navigation while prominently featuring a slideshow of a number of videos that interested visitors can scroll through and view at will. All the images and videos in the world can’t rescue a site with typography that’s difficult to read or not used in an effective way. Typography is a tool that tells the visitor what he/she needs to know and guides their eyes across the site. Finding the right typography to fit your audience and varying the size and prominence of certain words on the site is essential to getting the site’s message across. 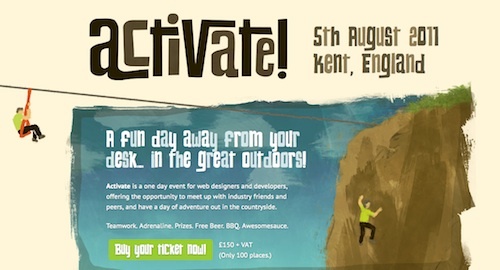 This Activate site uses typography well. They have contrast in the typography and uses fonts to draw emotions. In conclusion, as you explore today’s web design trends and the newest techniques, remember to go over these guidelines. What are some rules do apply in your design?